When my husband was a school teacher, most years we would be lucky to only spend a couple hundred dollars out of our own pocket for what he needed for his classroom. It was frustrating and as a one income family at the time, sacrifices had to be made for him to have those things. That experience is one of these reasons I think Box Tops for Education are so important. Most people don’t have a ton of extra to help our their local school, but you can easily help by clipping and saving box tops. Saving Box Tops can make a big difference to a school and we always make sure we save every one. 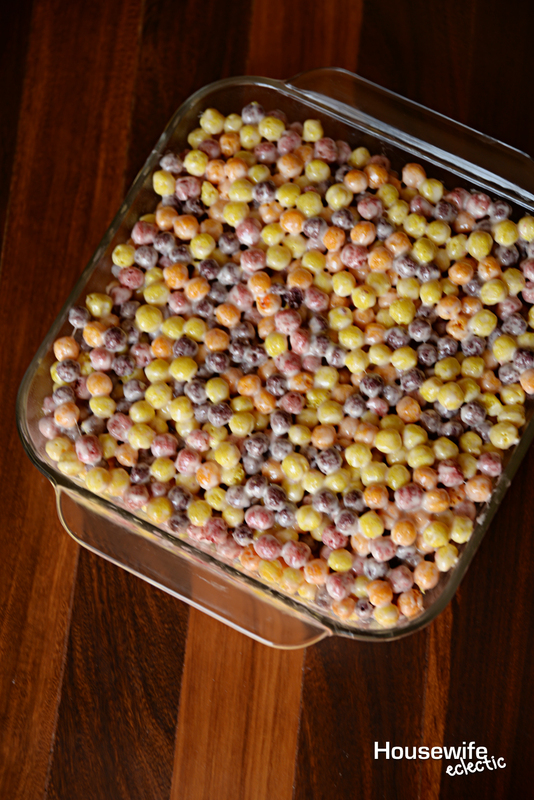 One of our favorite treats to make from a product that has a box top are these delicious Trix Treats. 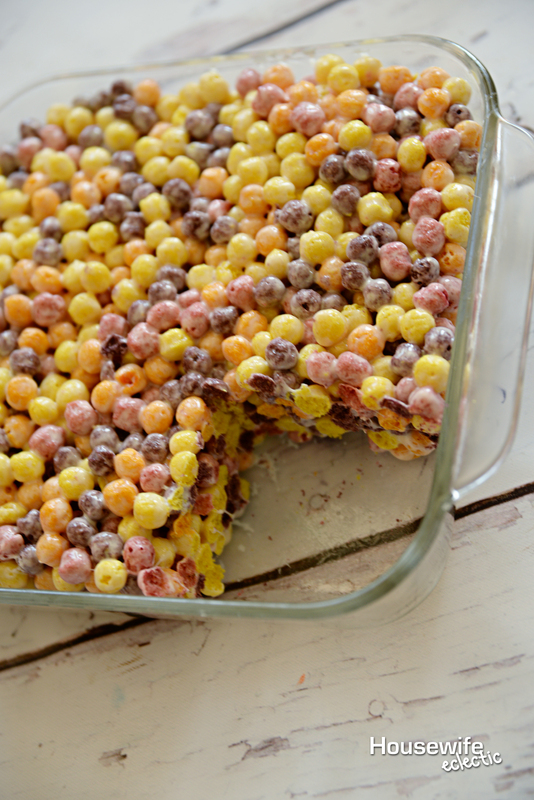 Like a Rice Krispie but with more varied flavors! 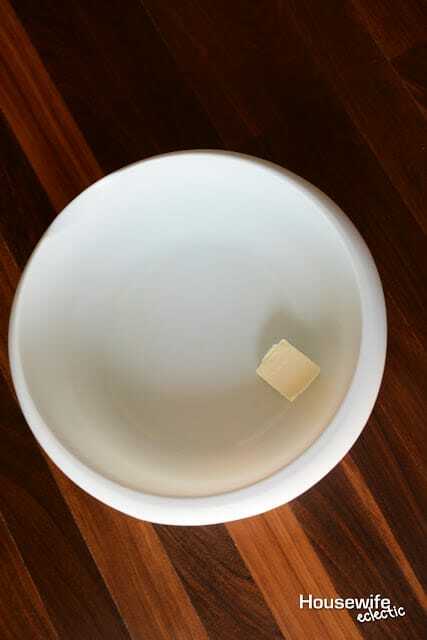 Melt the butter in the bottom of a large bowl. Pour the marshmallows on top. Microwave in 30 second intervals until the marshmallows are just melted. 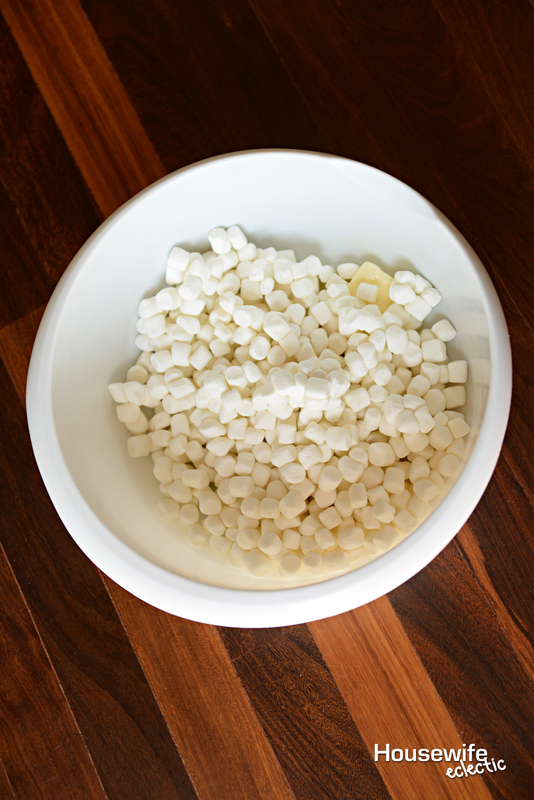 It is possible to scorch marshmallows so watch them closely. They are ready when they are mostly melted with a few visible lumps still left in them. Mix the marshmallows until smooth, adding the salt and vanilla. Add the box of Trix and mix until they are thoroughly covered. Right now, specially marked products at Walmart have 5 Box Tops on them, giving you an extra chance to help out your local schools. If you don’t have elementary age kids, clip the box tops and drop them off at your local school or send them with a neighbor kid. The school will be grateful you took the little extra time to make a difference. 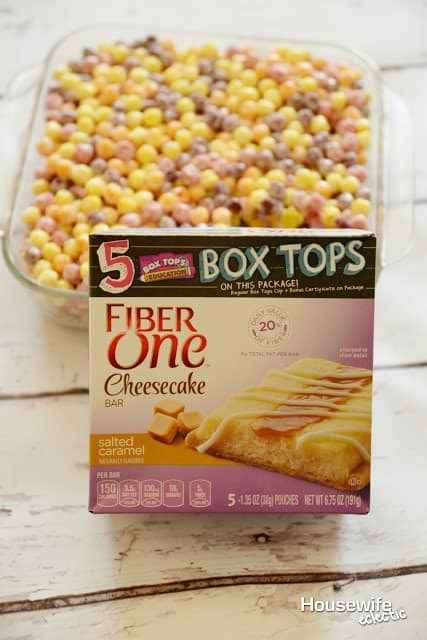 What is your favorite snack with a box top on it? It is awful how much teachers have to spend out of their own pockets and they are not paid well either. Box Tops sounds brilliant! oh my god how colourful are these. Perfect for a special occasion or just a well deserved treat. The kids will love them. There are fun. My daughter would really like them. She loves rainbows so these would fit in perfectly. Such an awesome idea! 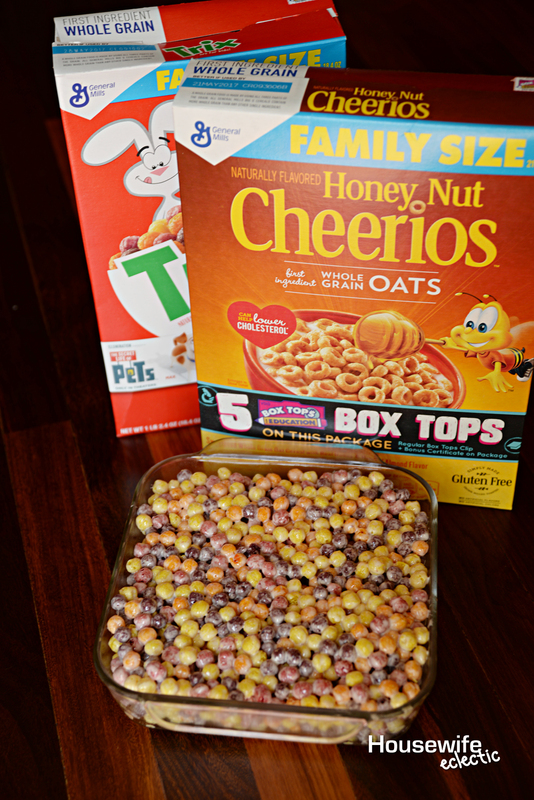 I love how easy these treats are to make and you can pretty much use any cereal that you'd like. Box tops are an awesome way to help out, I collect them as well. I love Box Tops! I think it is such a great program, especially with how much school budgets seem to be cut every year. 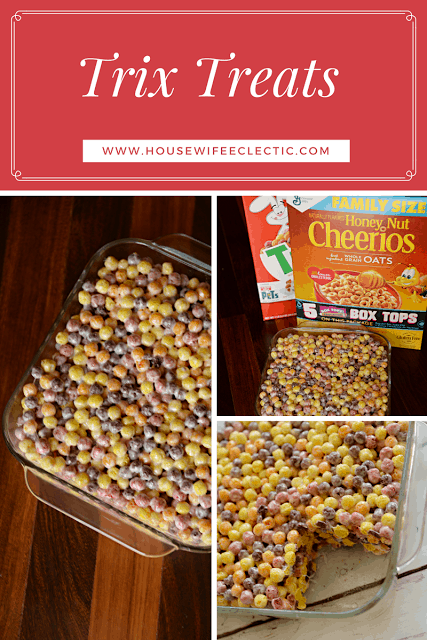 This definitely looks like a snack my kids and I would love! Your husband must have been not only a good teacher dedicated to his job, but also a man with a big heart! My kids love Trix! I have never thought to make them into a treat style like this though. I need to do this asap.